Can also be Hung as a Wall Decoration. Mirrored finish design. Acrylic construction. 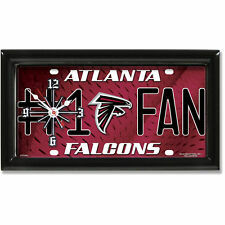 Looks Great on your car or display in your favorite room. Four drill holes ensure a safe and secure fit. 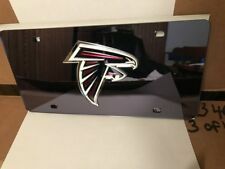 Durable Acrylic Colored Mirror with Laser-Cut Team Logo. Makes a Great Gift Idea. 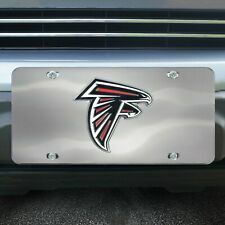 SILVER BACKGROUND:" RISE UP" IN BLACK LETTERS ABOVE FALCONS LOGO. GO FALCONS!!! INDOOR OR OUTDOOR. THEY ARE GREAT FOR THE NFL FOOTBALL FAN. Weather resistant durable plastic, printed with bright graphics. 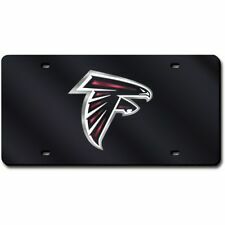 Makes a great gift for any Falcons fan or anyone that drives a car! A great way to show your support! Beautiful graphics and coloring! Acrylic Laser Cut Inlaid inserts! Trending at C $32.95eBay determines this price through a machine-learned model of the product's sale prices within the last 90 days.